You don’t have to travel to Mexico or the Caribbean to visit a great beach destination. Many of us are too busy to take a week off from work, and sometimes all we can spare is a weekend. The good news is that there are many beach destinations in the United States that are closer than you think. Depending on where you live, a weekend beach getaway may be only a short drive across the Canadian border or a quick flight down the coast. Lake Erie is only a short drive away for anyone living in southern Ontario. While many associate the area with cottages, Lake Erie’s shoreline has countless beaches and small towns with bed and breakfasts, hotels and cottages. “Lake Erie, a Great Lake that stretches from the Welland Canal to the Detroit River, has a shoreline bordered by soft-sand beaches, quiet towns, and pretty parks. On the lake’s South Bass Island, the village of Put-in-Bay, OH, offers history, ferry rides, and lots of family fun. Fuel up on lobster bisque at The Boardwalk, then rent a kayak to explore the open water,” says Travel + Leisure. Get the experience of going to Florida without the longer flight and tourist overkill. Myrtle Beach is the perfect family beach vacation destination. Resorts are located only a few minutes from the airport, there are more than 60 miles of beaches to explore and there is a beautiful boardwalk and plenty of shopping and golfing options. 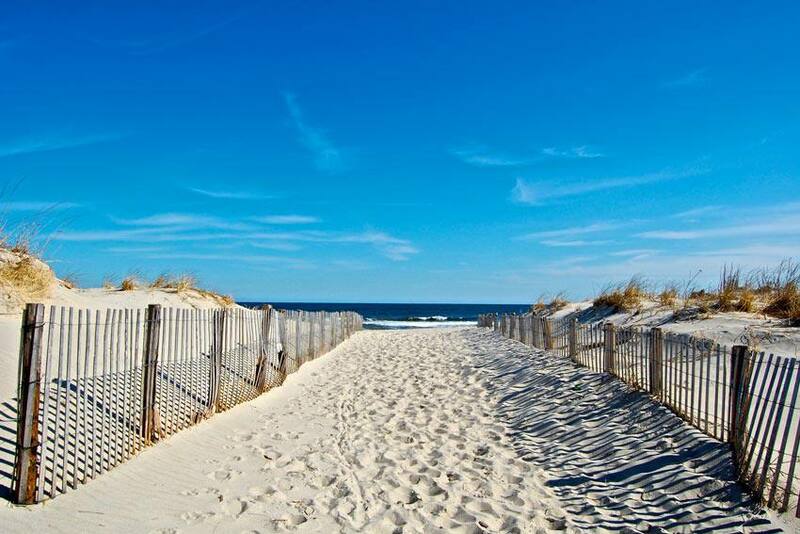 “Myrtle Beach is the East Coast's ultimate vacation hub. The town teems with summertime action: beaches dotting the Strand, amusement and water parks, restaurants and live entertainment. Myrtle Beach's actual beach is an extensive stretch of silky white sand, with opportunities for fishing, swimming, sunbathing, sailing and surfing,” says the Travel Channel. A short flight away for Canadians in Quebec and on the East Coast, Maine is becoming more and more popular among travellers. Its history only adds to the appeal of the beaches in the area. “You’ll play by the beach by day then refuel at laid-back dockside restaurants come early evening. Families tend to make a beeline for Short Sands Beach, which combines scenic coastline views with easy access to York's amusements,” says Travel + Leisure. Only a short flight from Toronto and other airports in Ontario, the updated New Jersey shore is an ideal short-term vacation option and has much more to offer than it has in the past. “South Beach chic has migrated north to glam up the Jersey Shore at Long Branch, where fried dough and carnival piers give way to infused cocktails and French cuisine,” says Travel + Leisure. Considered to be one of the perfect locations for getting out of the city, the Hamptons have a reputation for being a posh destination. If you want to live it up for a weekend and possibly rub shoulders with celebrities, this is the place for you. “Strolling along the broad stretches of white sand, listening to roaring waves and passing the glorious mansions of Lily Pond, it's easy to see why East Hampton is a beloved New York destination any time of year. The picturesque town is a favorite with A-listers, and at the end of Main Street, past sprawling yards and fences surrounding huge homes, is Main Beach, where perfect white beaches and incredibly tasty lobster rolls await,” says the Travel Channel. Even though you are only planning a short getaway to the United States, you still need to invest in a reliable travel insurance policy to ensure you are covered if your plans don’t work out as you would have liked. Get a free travel insurance quote from Blue Cross today and travel with the confidence in knowing we have your back, no matter where you travel.